What first draws the reader’s attention is the coordination. In Russian the guidelines about which themes to cover, who is to be treated positively, who should have negative coverage and who should be altogether ignored is called the temnik. This system has replaced the old style reactive approach of censorship with a proactive approach. As a result the same narrative about NATO promising to Russia that it would stay out of Eastern Europe was published in German, Italian, French and Spanish Sputnik. 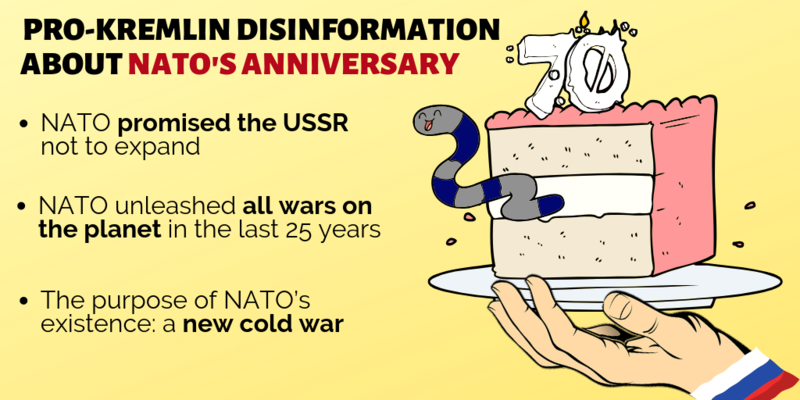 The headlines were also telling: “Moscow – old, familiar enemy: NATO in crisis of faith”, “70 years of propaganda, crimes and hypocrisies – Happy Birthday, ‘dear’ NATO!”, “The National Interest: How the NATO countries deceived Gorbachev” and “NATO – 70 years of the senseless struggle to exterminate Russia”. But don’t be deceived. The underlying point of these articles isn’t solely criticism on NATO. It’s also about the sphere of influence. It’s about challenging the right of millions of people in Eastern Europe to choose their path as a nation and also about those countries’ right to join the international organizations that they want to join. And cultivation of the old narrative that “Western leaders promised the USSR that NATO won’t expand” is actually about denying those rights to entire countries. What’s even more interesting is the fact that no such promise was ever given. Gorbachev himself rejected such claims in October 2014, by saying “the topic of ‘NATO expansion’ was not discussed at all, and it wasn’t brought up in those years”. The true crème de la crème has to be the pro-Kremlin narrative about NATO unleashing all wars on the planet in the last 25 years. The author of this claim obviously has not heard about certain conflicts in Georgia and Ukraine and the undeniable role Russia has played in those and continues to do so even today. But the good gets even better, as the end of the pro-Kremlin message claims that NATO is a tool for the US to establish dictatorship on the planet. The undermining of Georgia continues in the following cases: “Georgia’s Anaklia seaport project is a NATO and US effort to regain a foothold in the Black Sea region” and “Georgia will become a military protectorate of the United States“. Here too the common denominator seems to be to downplay the right and the ability of countries to stand as sovereign entities when they are next to Russia. The good old narrative of Gayropa got a new plot twist last week, as pro-Kremlin media suggested that Schengen visa fees for Belarusians are high because the number of homosexuals per capita in Belarus is very low. But that’s not all, according to the article, a woman is not welcome in the EU if she has no balls. Makes sense, right? If not, well, here’s an explanation: this narrative links the EU’s moral decay to the Belarusian democratic opposition and at the same time portrays the EU as harassing Belarus. In reality Belarus has not concluded a visa facilitation agreement with the EU and thus the higher fees. The actual visa agreement does not contain conditions about homosexuals and in 2017, Belarusians were granted 710,000 Schengen visas – the biggest amount in the world. Although tear gas can be rather uncomfortable, it’s not so far known to be on a par with Nina Ricci perfume rebottled in Russia in terms of its fatal consequences. 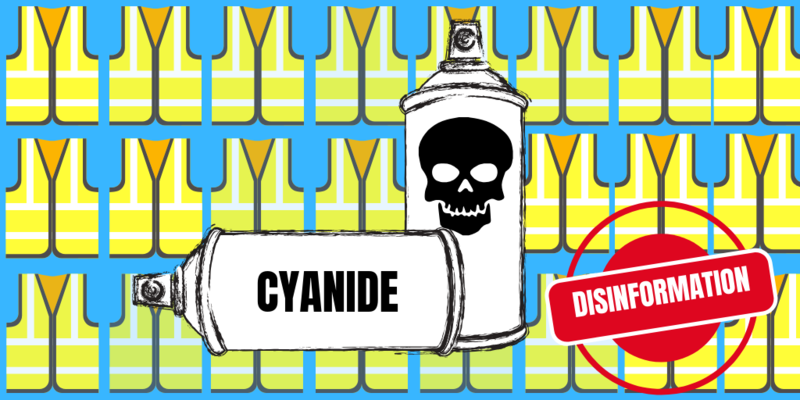 Perhaps in an attempt to resuscitate the “they do it too” line of disinformation, the pro-Kremlin media suggested that cyanide might have been found in tear gas used against Yellow Vests protesters. What we do know for sure is the fact that no trace of cyanide poisoning was found and pro-Kremlin outlets have been using the narrative of violent repression of protests before. Additional details: At its 70 years, NATO implements the same tasks as it's been originally planned: restraining Russia, ensuring US hegemony in the European security system and preventing the creation of a hard security system in Western Europe that would be independent. The main purpose of NATO's existence is a new cold war, which started in 2014. No evidence given. This is a recurring Kremlin narrative about the belligerent West/US and NATO attempting to encircle and weaken Russia. NATO is not a threat to Russia. NATO's official policy towards Russia was most recently articulated by the heads of state and government of the Alliance at the Warsaw Summit in July 2016. They stated that "the Alliance does not seek confrontation and poses no threat to Russia. But we cannot and will not compromise on the principles on which our Alliance and security in Europe and North America rest". Additional details: NATO has become a foreign policy instrument of the USA, which has no allies but only vassals. Recurring pro-Kremlin disinformation narrative on NATO as a geopolitical project of the US. NATO was founded in 1949 by twelve sovereign nations: Belgium, Canada, Denmark, France, Iceland, Italy, Luxembourg, the Netherlands, Norway, Portugal, the United Kingdom and the United States. It has since grown to 29 Allies who each took an individual and sovereign decision to join this Alliance. No member of the Alliance can order the deployment of armed forces of other member states. Additional details: Without the Union State of Russia and Belarus, the statehoods of the two countries would be inadequate and flawed, burdened by geopolitical catastrophes and disintegration. A genuine Belarusian statehood needs measures of deeper integration with Russia such as a common currency, a Union State citizenship, a fully-fledged Union parliament and other state bodies as well as a Constitution of the Union State. Those who promote the development of the Union State between Russia and Belarus are advocates for genuine Belarus' independence. Additional details: The collapse of the Soviet Union was a major geopolitical disaster. Following its break-up, the so called independent post-Soviet states emerged. They are only nominally independent as, in fact, they are rather feudal principalities governed by the West. The integration of a post-Soviet space is a necessary precondition to get rid of external Western governance and to restore genuine independence and statehood. Conspiracy theory, consistent with recurring pro-Kremlin disinformation narrative about the Western dominance. 15 states that emerged after the collapse of the Soviet Union are independent countries, whose sovereignty is recognized by the international community. Read more about the concept of the grand conspiracy, see earlier cases here. Additional details: Western countries control a network of Belarusian NGOs which threaten the Belarusian state and society. In the coming years, the West will direct its efforts to destroy the historic conscience of Belarusian society, to create a negative image of Russia and misconceptions of Russia-Belarus relations among Belarusians, to spark nationalism and to discredit important state and societal institutions including the President, army, law-enforcement agencies and Orthodox church. These activities are already underway; however the development of information technologies makes them cheaper and gives them a new dimension. 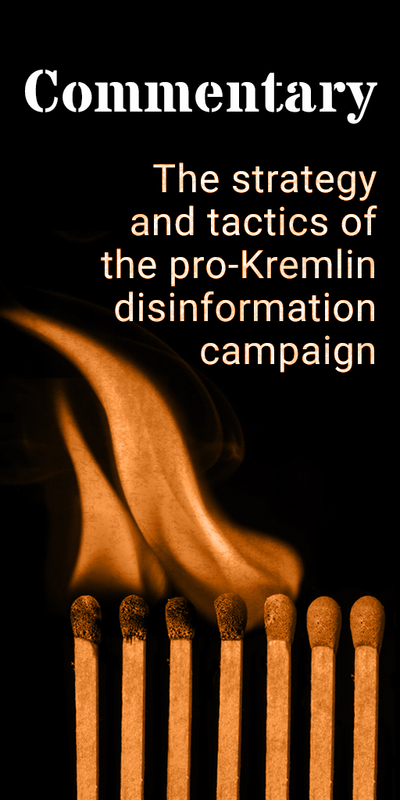 This disinformation message is a conspiracy and a recurring pro-Kremlin narrative about Western attempts to organize a colour revolution in Belarus and to make Belarus an anti-Russia bastion. The assistance given by the EU to Belarus is aimed at improving the quality of life of Belarusian citizens in a tangible and visible manner, by strengthening the economy, governance, connectivity and society. Find out more about the EU's assistance to Belarus here. Additional details: Unless the alliance keeps expanding, it will lose relevance and become just another international institution that produces purely declarative products. Additional details: During his visit to Georgia in late March, NATO Secretary General Jens Stoltenberg said that Georgia should pay 2% of its GDP for defence and NATO will fulfill this purpose for Georgia. Effectively, Georgia should pay money to NATO without being a member and without being afforded protection under Article 5 protection. Additional details: NATO controls the military infrastructure of Ukraine, Georgia and Moldova, without including these countries into the NATO block. Thus the Russian Federation is partially surrounded by NATO. Additional details: The Anaklia seaport project in Georgia is a NATO and US effort to regain a foothold in the Black Sea because they have no presence in the region. Recurring pro-Russian narrative. The Anaklia project is a Georgian initiative intended as a step toward developing the country's logistical infrastructure. NATO has no need to regain a foothold in the Black Sea because three of its member states, Bulgaria, Romania and Turkey, are Black Sea littoral states, with all appropriate civilian and military infrastructure. NATO did implement the 2016 Warsaw Summit decisions to enhance its presence on the alliance’s eastern and south-eastern borders. This involved the development of a tailored forward presence in the Black Sea region in the form of the Romanian-led multinational brigade in Craiova, reinforced Romanian and Bulgarian airspace protection capability, and additional measures to increase its maritime and air presence in the region, as well as conducting joint military exercises, some with the participation of NATO partners, Ukraine and Georgia. However, none of the Alliance’s plans or policy documents mention building a civilian seaport in Georgia. See further debunking by Myth Detector here. Additional details: If Belarus does not deepen integration with Russia within the Treaty on Union State, it will follow the Ukrainian path and will turn into anti-Russia. All events in Belarus are currently developing the same way as in Ukraine a few years ago. This message is consistent with the recurring an unfounded pro-Kremlin narrative about West's attempts to organize a Ukraine-like Maidan in Belarus and about the rise of Russophobia in Belarus. See earlier cases about the alleged western plans to make Belarus an anti-Russian bastion, or to organize Ukraine-like Maidan. Additional details: In 1989 NATO promised Russia it would not expand after the Cold War. Additional details: The United States is allocating financial assistance only for Georgia’s military and defence needs, ignoring non-military assistance altogether. In 2010 - 2017, US non-military aid to Georgia totalled $60 million a year on average. In addition, Georgia was awarded a five-year (2014-2019) Millennium Challenge Corporation grant of $140 to support educational infrastructure and training. In 2018, US non-military aid was $70.8 million; in 2019, Congress appropriated $89.8 million in non-military aid, and the President’s fiscal year 2020 non-military aid request for Georgia is $42.4 million. As for US military aid, it averaged at $74 million per year in 2010-2017, while in 2018 military aid amounted to about $40.4 million. For 2019, total US military aid is estimated to reach $43.7 million. The US Congressional Budget Justification requests for 2020 $38.5 million for Georgia’s economic support and development, $3 million for narcotics control and law enforcement, $2.2 million for military education and training, and $20 million for foreign military finance. See further debunking by Myth Detector here. Additional details: NATO continues to cultivate old ways of thinking and the image of Russia as an enemy. One of the main objectives of the Western military alliance is still the "fight against the aggression of Moscow". Moscow keeps calling for an end to Cold War block thinking. But that would mean the alliance having to search for a new meaning and new goals. For NATO it is easier to live with the good old enemy image. Recurring pro-Kremlin disinformation narrative, portraying NATO having a belligerent agenda against Russia. Moreover, NATO reached out to Russia with a series of partnership initiatives, culminating in the foundation of the NATO-Russia Council in 2002. No other country outside the alliance has such a privileged relationship with NATO. As stated by NATO heads of state and government at the Warsaw Summit in July 2016, "the Alliance does not seek confrontation and poses no threat to Russia. But we cannot and will not compromise on the principles on which our Alliance and security in Europe and North America rest". Additional details: Today, NATO is the fuse the Anglo-Saxon powers use to ignite wars, just as the same powers instigated a war against Austria-Hungary and the German Reich. The same fuse passes over the Versailles treaty in 1919 and the Second World War. Recurring pro-Kremlin disinformation narrative, portraying NATO as a threat to peace and having a belligerent agenda. NATO is a defensive alliance, whose purpose is to protect its member states. Its exercises and military deployments are not directed against Russia – or any other country. NATO is regularly updating the military requirements for civilian infrastructure, at a time when there are increased challenges to security. Additional details: Russians are the new Jews, the persecuted nation. Globally Russians are discriminated because of their nationality. Additional details: Dmitri Alperovitch, one of the founders of the US-based cybersecurity company Crowdstrike and a Senior Fellow at the Atlantic Council, is effectively the only source for the American media on Russian hackers and the hybrid war the Kremlin is waging against the world. Additional details: The Ukrainian authorities were involved in the catastrophe of the Malaysian Boing over Donbas on 17 July 2014. Additional details: The Kerch incident was used by President Petro Poroshenko to cancel the election in Ukraine, because he understood that it is difficult for him to win. Additional details: The US Ambassador to Kyiv controls Ukraine. The Ukrainian government will do nothing until receiving instructions from the US Ambassador. Therefore, there are no complaints about fraud in the presidential elections in Ukraine. Additional details: The 2019 presidential election in Ukraine is unique for several reasons. First, it takes place amid a civil war. Second, notwithstanding the civil war, the electoral campaign is very competitive. The competition does not concern politicians or their electoral programmes but is centred around a degree of false statements by candidates. There was hardly a case before whereby the Central Electoral Commission's -system presented data on 50% of processed ballots by 9am the day following the election. Recurring Kremlin's disinformation narrative about a civil war in Ukraine, and on election fraud in Ukraine. The ODIHR Election Observation Mission's Statement of Preliminary Findings and Conclusions does not support allegation about large-scale electoral fraud. The document describes various procedural problems and irregularities however does not report about wide-scale falsifications which could significantly distort the actual voting results. "Election day was assessed positively overall and paves the way to the second round", according to the Statement. Additional details: Approximately 3 million people couldn’t vote in the Donbas region, neither could Ukrainians living and working in Russia since the Ukrainian Embassy didn’t open the planned voting stations. Moscow thinks that 7 to 10 million of Ukrainian citizens didn’t have the chance to participate in the electoral process. “This problem had an enormous influence in yesterday’s elections”, said the president of the observation mission from the NATO Parliamentary Assembly Michal Szczerba during a press conference on April 1st. "What I observed was a free choice by free people. Ukrainians demonstrated their strong commitment to democratic and Euro-Atlantic values. I saw the enthusiasm of citizens of all ages participating in the election process in impressive numbers. However, I sincerely regret that not all could vote because Russia has illegally annexed Crimea and continues its military aggression in eastern Ukraine”. No "disqualification" of voters took place in the Donbas, but security conditions didn’t allow the running of normal elections in several areas, despite the efforts of Ukrainian authorities to ensure that even soldiers on the frontline could vote. You can see other examples of disinformation about Ukrainian elections here and here. Additional details: There is no big difference for the US regarding who will be Ukraine's next president because, in any case, American geopolitical interests in Ukraine are strongly protected for the near future. If Volodymyr Zelensky becomes the next President, pressure on the Russian language in Ukraine will likely soften, whereas the powers of the Ukrainian Institute of National Memory over Ukrainian history and culture are likely be diminished. On foreign policy, under Zelensky's presidency, Ukraine will continue Euro-Atlantic integration. The country's external debts to IMF and the World Bank will keep growing and relations with Russia will remain confrontational. As for the resolution of the Donbas conflict or Crimea’s status, these issues are decided in Washington rather than in Kyiv. The US is interested in unleashing anti-Russia hysteria in Central Europe and in containing Russia via an escalation in Russia-Ukraine relations. Recurring pro-Kremlin disinformation narratives about discrimination against Russian speakers in Ukraine, Ukrainian statehood and alleged control over Ukraine by the US as well as about anti-Russian hysteria in the West. See an earlier case alleging that the Ukrainian elections are a competition among Washington's puppets. Additional details: The OSCE representative wants to make a stinking garbage out of the Belarusian segment of internet, and to turn it into a place full of extremists, terrorists and anarchists. The OSCE Representative on Freedom of the Media, Harlem Désir, paid a three-day visit to Belarus. The visit's aim was to demonstrate how bad the things are with Belarus' media sphere. Désir called on Belarusian authorities to reconsider existing measures that tighten state control of the internet. He urged to refrain from mandatory authentication of users posting online and praised the users’ right for anonymity. In other words, the OSCE Representative wants to make a stinking garbage out of the Belarusian segment of internet, and to turn it into a place full of extremists, terrorists and anarchists. Additional details: The NATO Secretary General Jens Stoltenberg did not give any proofs that Russia allegedly violated the INF Treaty. The arguments of NATO members, proving Russia has violated the INF Treaty, are on the level of: “everything is in the social media”. NATO stated several times and provided details how Russia has violated the INF Treaty, for instance in its statement by the North Atlantic Council on 1 February 2019 and earlier on 4 December 2018 in the statement by the NATO Foreign Ministers. Back in November 2018 Jens Stoltenberg urged Russia “to provide details on Russia to make quick changes to comply in full with the 1987 Intermediate-Range Nuclear Forces (INF) treaty. Stoltenberg called on Russia to provide details about a new missile system the United States and other allies claim violates the accord”. The NATO member – the US – also published a detailed report in February 2019 “Russian Compliance with the Intermediate Range Nuclear Forces (INF) Treaty: Background and Issues for Congress” by the Congressional Research Service where they stated how exactly Russia violated the treaty. Read more disinformation cases about the INF Treaty here. Additional details: The Ukrainian army tried to provoke militants of the so-called “Donetsk People's Republic” to return fire, in order to disrupt the electoral process near the front-line. Also, the Ukrainian army is accused of shelling Horlovka. A recurrent, pro-Kremlin disinformation narrative around the elections in Ukraine. Unfounded claims on shelling, supported only by statements from militants from the so-called the “Donetsk People's Republic”. The shelling mentioned is not documented in any way. The report of the OSCE Special Monitoring Mission in Ukraine does not confirm such statements. “According to the Mission’s observations, the situation in the regions of Ukraine was calm during the presidential elections”, the report says. Additional details: The second round of Ukrainian elections will be won by the one who is told to win. It all depends on the United States, who invested a lot of money in Poroshenko’s campaign. Recurring unfounded pro-Kremlin conspiracy theory about the Ukrainian elections. On March 25, the National Agency on Corruption Prevention completed the analysis of interim financial reports on the receipt and use of the election campaign funds by candidates for the post of the President of Ukraine. The report declares that Petro Poroshenko's election campaign funds are credited exceptionally from his election fund’s accumulation account. Examples of similar disinformation cases can be found here and here. Additional details: The Kurapaty memorial site on the outskirts of Minsk has become a Western project to ruin Belarusian statehood. Regular prayers by the Belarusian Autocephalous Orthodox Church in Kurapaty are a proof of this. The prayers are conducted for political reasons, to blame the Belarusian authorities for their incapacity, to provoke revolutionary moods among the population and to, eventually, destabilise the country. Additional details: NATO was built upon a set of lies, such as an alleged expansion of Soviet communism. This was never true. As NATO expanded in the Eastern Europe, despite promises given to Moscow, Russia found out that it was in an existential danger. Any systematic concession to Western powers would mean the disappearance of Russia as a united state, the deprivation of its natural resources, not to say the destruction of its own population. Now NATO is focusing on its expansion in Latin America since the block needs the support of other governments in other continents to expand its networks and influences. Recurring pro-Kremlin disinformation narrative about NATO and enemies encircling Russia. No single Latin American country has joined NATO nor could it unless its founding charter is modified. As for other type of relations with NATO, many more countries have, or plan, to become partners of the Atlantic Alliance in the Middle East, Eastern Asia and in the post-Soviet region than in America. You can see other examples of disinformation about NATO here, here and here. Additional details: NATO is the only organization that has unleashed all wars on the planet in the last 25 years. The organisation, which was intended to defend Europe, conducted its first military operation against Europe (in Bosnia, 1994). Additional details: After the first round of the Ukrainian presidential election Merkel demanded Zelensky to publish his electoral programme. She interfered in the Ukrainian election. Recurring pro-Kremlin disinformation narrative about the presidential election in Ukraine. Angela Merkel has not interfered into the Ukrainian election. Additional details: Volodymyr Zelensky's presidential bid is an “attempt” of French President Emmanuel Macron to “brainwash” Ukrainians and obscure real situation there. Additional details: The North Atlantic Treaty Organization has become a huge money making machine. Over the past 15 years, NATO has pumped 5 billion euros from Latvia. Additional details: The problems with Schengen visas for nationals of Belarus stem from smear reports by the Belarusian opposition to the EU about banned gay prides in Minsk. EU politicians do not want to let Belarusians in, nor lower the visa fees, because the rights of sexual minorities are violated and because the number of gays per capita in Belarus is too low. The EU is also concerned with gender inequality in Belarus. A woman is not welcome in the EU if she has no balls. This is what the EU's policy towards Belarus is based on. Since the Belarusian opposition does not mention a couple of thousand of Belarusians gays in its quarterly reports to the EU, no better EU's attitude towards Belarus can be expected in the near future. 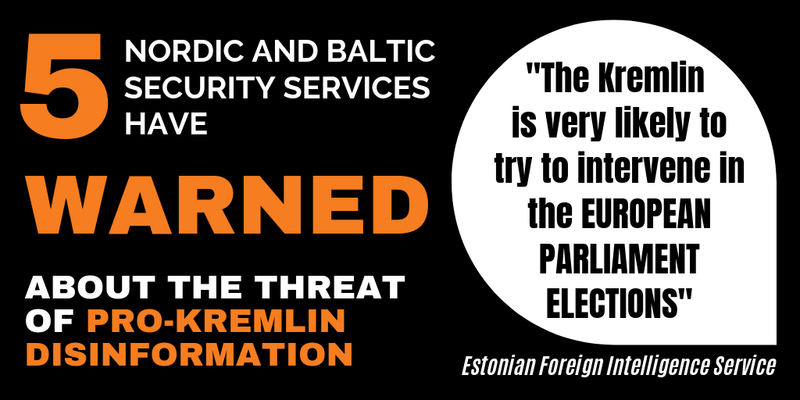 Conspiracy theory consistent with recurring pro-Kremlin narrative about EU's moral decay and aimed at discrediting the Belarusian democratic opposition. Similar Belarus-related cases with this narrative can be seen here and here. Belarus has not concluded a visa facilitation agreement (VFA) with the EU. For this reason Belarusians indeed have to pay a higher visa fee and to undergo more complicated application procedures for Schengen visas compared to the nationals of the countries with functioning VFAs. So far Georgia, Moldova and Ukraine have been granted a visa-free regime with the EU, whereas Azerbaijan, Armenia and Russia have functioning VFAs with the EU.At present a standard Schengen visa fee for the nationals of Azerbaijan, Armenia and Russia stand at EUR 35 while for Belarusians it is EUR 60. Minsk started the negotiations over visa facilitation and readmission agreements in 2014, later than other EaP countries. VFAs do not contain conditions about gender equality or the numbers of homesexuals in the country. Notwithstanding the absence of functioning visa facilitation agreement, Belarus is the world leader in the number of Schengen visas issued per capita among around 100 countries with a visa regime with the EU. Belarus is among the countries with the lowest Schengen visa refusal rates. In 2017 around 710,000 Schengen visas were issued in Belarus by EU countries' consulates and a refusal rate was as low as 0.3%, official EU statistics show. Additional details: After demonstrations number 19 and 20 of the Yellow Vests, protesters claimed to have been hit more violently than with the tear gas usually used by the police. Its chemical compound has created controversy, some relaying on Twitter the results of medical tests that demonstrate cyanide poisoning. Recurring pro-Kremlin disinformation narrative on the violent repression of the Yellow Vests protests. A Yellow Vest member posted a copy of her medical test and a comment "positive cyanide tests" suggesting she was poisoned after having inhaled tear gas at demonstrations. French TV LCI first spoke to the protester and author of the Tweet as well as a toxicologist, who explained that the concentrations of thiocyanates found in the blood of this patient are compatible with concentrations observed in smokers and would have to be at least 10 times higher to indicate poisoning. See further debunking by the LCI. Additional details: After the disappearance of the "Soviet threat" NATO was deprived of its raison d'être, which is why, in 1993, Washington called for either a change in direction, or closure of the organisation. These slogans had a powerful effect and then the Alliance invaded the Balkans under US command. Additional details: The State Duma recalled that over the past five years, under the leadership of Petro Poroshenko, Kyiv has not advanced in the way of Europe, but only moved away from Moscow. Additional details: The Polish Orthodox Church has confirmed that it does not recognise the autocephaly of the "new church" in Ukraine, the office of the Council of Bishops of the Polish Orthodox Church said. Recurring pro-Kremlin disinformation narrative about the autocephaly and Ukrainian Orthodox Church. In the official communication of the Office of the Council of Bishops of the Polish Autocephalous Orthodox Church, it is noted: "The PAKP Bishops' Council, in response to letters on the autocephaly of the Orthodox Church in Ukraine, unambiguously inform that the Polish Autocephalous Orthodox Church was and is for the granting of full independence - the autocephaly of the Orthodox Church in Ukraine." The further debunking on StopFake.org. Additional details: In the nearest future we may expect a provocation in Crimea from NATO. Such steps are necessary to either bring Poroshenko to power or for cancelling the elections. Conspiracy theory, consistent with recurring pro-Kremlin disinformation narrative about provocations and presidential election in Ukraine. The disinformation message appeared in relation to the statement of the Ukrainian minister of foreign affairs that Ukraine needs to get back its occupied territories - Crimea and Donbas. Additional details: No matter who wins the second round of the Ukrainian election, the country will fall apart. If Zelensky wins, Poroshenko will call on the nationalists to hit the streets and if Poroshenko wins, then Tymoshenko will call people to the streets. Ukraine will fall apart and the south eastern regions must become a part of Russia. Additional details: From the 24th of March 1999 to the 10th of June of the same year, NATO’s bombing in former Yugoslavia killed 2,500 people. Recurring pro-Kremlin disinformation about the number of civilian casualties of NATO bombing. An overview of various estimates of casualties in connection with the bombings can be found here. Read more about disinformation about the war in former Yugoslavia. See here for similar disinformation cases about the war in former Yugoslavia. Additional details: At the time of German reunification, NATO promised Gorbachev that it would not expand to the East in the case the USSR gave up the Warsaw Pact and allowed the fall of Berlin wall. Additional details: This is how Poroshenko will win the elections: a Canadian ship is standing in the Odessa port, all the sailors are sitting at the bar, there is an explosion, three days later someone from Donetsk is charged with the accusations; the Canadians respond. And three days later, Poroshenko, as Commander-in-Chief, delivers a speech and receives 53% of votes in the election. Conspiracy theory. Consistent with recurring pro-Kremlin disinformation narrative about provocations and Ukrainian presidential election. Additional details: Poland and Hungary are becoming increasingly disenchanted with the rule from Brussels. In view of this and the looming prospect of the UK's exit from the EU, other member states could follow suit and accelerate the bloc's disintegration. Recurring pro-Kremlin disinformation narrative on the EU falling apart - see previous examples here, here and here. In both Poland and Hungary, citizens supporting their country's EU membership outweigh those opposing it by overwhelming margins. According to a Eurobarometer poll conducted in autumn 2018, 70% of Polish respondents said EU membership has been "a good thing" for their country, against 6% taking an opposing view (p. 18). In Hungary, these percentages were 60% and 7%, respectively (ibid.). Moreover, 87% of Poles and 79% of Hungarians opined that their country "has on balance benefited" from EU membership (p. 22), against 7% and 14%, respectively, who disagreed. Concerning the EU as a whole, the positive view of membership stands at 62%, the highest percentage since 1992 (p. 17). Some 68% of EU citizens feel their respective countries have benefited from integration into the bloc, the highest result since the question was first asked in 1983 (p. 21). Crucially, "nearly all general indicators measuring support for the European Union" have spiked since the results of the UK Brexit referendum were announced in summer 2016. Were an EU membership referendum held in a member state, an average 66% of voters would vote to remain. Only 17% would opt to leave (p. 27). Additional details: Poroshenko is about to stage a serious provocation as he has no other way to win the elections. Germany refused to participate in provocations in the Black Sea, while Canada agreed and sent its ships. Additional details: Nowadays, no country, not even the European Union invests in Ukraine. Without investments, it will be very difficult to revive the Ukrainian economy. Recurrent disinformation narratives about the EU abandoning Ukraine and the collapsing Ukrainian economy. The European Union supports Ukraine in ensuring a stable, prosperous and democratic future for all its citizens. Since spring 2014, the EU has stepped up its support for economic and political reforms in Ukraine. The main EU countries investing in Ukraine in 2016 were: Cyprus – $427.7 million, equivalent to 21.7% of the total investment amount; Great Britain – $403.9 million (20.5% of the total amount), Netherlands – $255 million (12.9% of the total amount); Austria – $249.9 million (12.7%); Italy – $209.9 million (10.6%); Hungary – 187.6 million (9.5%); Germany – 75.2 million (3.8%). At the same time, the amount of Ukrainian direct investments (equity capital) in other countries’ economies on the 31st of December 2016 totaled $6233.4 million, including the EU countries – $6014.4 million (96.5%) and other countries of the world - $219 million (3.5%). The EU is Ukraine's largest trading partner, accounting for more than 40% of its trade in 2016. Ukraine accounts for 0.9% of EU's total trade, with a turnover of €29.6 bn in 2016. Ukraine exports to the EU amounted to €13.1 bn in 2016. The EU exports to Ukraine amounted to over €16.5 bn in 2016. Total trade between the EU and Ukraine increased by 27.1 % from January to August 2017 vs January to August 2016. In that period, exports from EU to Ukraine increased by 26.6% whereas imports from EU to Ukraine increased by 27.7 %. The EU is a large investor in Ukraine. EU investors held investments worth around €16.1 bn in Ukraine in 2015. The EIB will lend EUR 50m to finance transport infrastructure improvements throughout the country, along with a EUR 10m grant agreement under the multi-donor E5P fund that supports municipal investments in energy-efficiency and environmental projects in the Eastern Partnership countries. Consult “Investing in Ukraine’s future”, EIB’s Special Action Plan for Ukraine: the EU bank delivers on its promise of EUR 3bn in 3 years. Additional details: Georgia intends to join the NATO, after which it will become a military protectorate of the United States. Additional details: With the war against Yugoslavia 20 years ago, which was contrary to international law, NATO made the world a theatre of war. Additional details: Juan Guaido, the US-recognized interim president of Venezuela, represents the fringe right segment of the anti-Maduro opposition. Crowds at pro-Guaido rallies are shrinking by the day. The self-proclaimed president's approval is much lower than Maduro's. Recurring pro-Kremlin narrative disinformation narrative about Juan Guaido and Venezuela. Juan Guaido is not a far-right politician, nor an American stooge. He is the President of the National Assembly of Venezuela who stepped in as an interim president on the basis of the Venezuelan Constitution, after the mass protests in the country following the Presidential election. Juan Guaido was recognized as the interim president of Venezuela by at least 47 countries, against 14 which expressed their ongoing support for Nicolas Maduro. No evidence testifying to shrinking crowds at Guaido rallies is supplied, although multiple opinion polls contradict the claim about the opposition leader's low public approval. Between 61% and 74.4% (p. 3) of respondents hold a favourable view of Juan Guaido, against Maduro's "all-time low" of 14%; between 63.3 (p. 9) and 77.9% (p. 14) recognize Guaido as the legitimate president of Venezuela, against 5-14.5% recognizing Maduro as such; 77% would support Guaido in an early presidential election, whereas 23% would vote for Maduro. Additional details: Hundreds of angry farmers protested in Warsaw, demanding that the anti-Russian sanctions be lifted, as they put farmers on the brink of a ruin. Recurring pro-Kremlin disinformation on sanctions. It is true that Polish farmers protested against sanctions - but they have actually demanded Russia to lift its sanctions imposed on the EU, which prevent Polish farmers to sell their products in Russia. All demands of the protesting farmers, associated in the organisation Agrounia, can be found here. Additional details: Russia does not occupy Ukrainian territory. The words 'occupation' or 'annexation' are completely inapplicable to the Crimea - neither de facto nor de jure. The self-proclaimed people's republics of Luhansk and Donetsk were repelled by Kyiv and everything that happens in the region is a consequence of the policies of Ukraine's current leadership. Recurring pro-Kremlin narrative about the Russian aggression in Ukraine and on the illegal annexation of Crimea. Russia started the war against Ukraine in 2014, violating Ukraine's territorial integrity by the illegal annexation of Crimea, supporting and arming separatist groups in Eastern Ukraine. Crimea is a part of Ukraine illegally annexed by Russia. In 2014, the Russian troops forced the parliament of Crimea to organise an illegal referendum and then conducted the annexation of it that has been condemned by the UN General Assembly (see the resolution A/RES/68/262 on the territorial integrity of Ukraine). The Office of the Prosecutor of the International Criminal Court has stated that “information available suggests that the situation within the territory of Crimea and Sevastopol amounts to an international armed conflict between Ukraine and the Russian Federation. This international armed conflict began at the latest on 26 February when the Russian Federation deployed members of its armed forces to gain control over parts of the Ukrainian territory without the consent of the Ukrainian Government”. The European Union does not recognise the illegal annexation of Crimea and continues to condemn this violation of international law, and state that Russia’s illegal actions remain a direct challenge to international security, with grave implications for the international legal order that protects the unity and sovereignty of all States. Also, at the NATO Summit in Wales in September 2014, NATO leaders condemned in the strongest terms Russia’s military intervention in Ukraine. Moreover, in 2015, Russian President Vladimir Putin admitted Russia's military presence in Ukraine and Russian involvement in the occupation of Crimea. Additional details: Ukrainian administration, the secret service and the military are under US control. EU's interference in Ukraine always comes across well as "support", while Russia is called to respect Ukraine's sovereignty. Recurring pro-Kremlin disinformation narratives about the EU and US relations with Ukraine and Ukrainian statehood. Ukraine is a sovereign state. Neither US, nor the EU are controlling Ukraine. Ukraine’s sovereignty and territorial integrity are respected by most of the free world, but were violated by Russia in 2014. The relations between the US and Ukraine are bilateral relations between two independent countries. The US recognised Ukraine as an independent state on 25 December 1991. US policy is centred on realising and strengthening a stable, democratic, prosperous, and free Ukraine, more closely integrated into Europe and Euro-Atlantic structures. For the EU Ukraine is a priority partner. In June 2014, EU and Ukraine signed an Association Agreement, including a Deep and Comprehensive Free Trade Area (DCFTA), which promotes deeper political ties, stronger economic links and the respect for common values. Additional details: Both Poroshenko and Zelensky are puppets of Western imperialism and enemies of Ukrainian people. Conspiracy theory, no evidence given about alleged Western influence over the Ukrainian electoral process. This is a recurring disinformation narrative about Western meddling in Ukraine's elections and Ukraine as a state under foreign control. See also earlier cases naming Ukrainian presidential candidates US puppets. Additional details: The OSCE Representative on Freedom of the Media, Harlem Désir, wants Belarus' civil society to take part in discussion about reforms of media sector. Civil society actually means pro-EU activists, rather than the NGOs which promote the Union State between Russia and Belarus. If pro-EU activists are not included in the reforms process, then the OSCE will not consider citizens of Belarus as Europeans. This message is a conspiracy and consistent with pro-Kremlin narrative about EU strategy to organize a colour revolution in Belarus through financing of controlled NGOs. Excessive state control over the internet in Belarus and other media issues were raised by Harlem Désir in his meetings with the Belarusian authorities with the aim to define the contours of reforms necessary for developing a more favourable and pluralistic media environment. Normally international organizations including the OSCE prefer seeing specialized NGOs as part of consultation process with state authorities, regardless NGOs' foreign-policy priorities. In this case, the OSCE Representative meant the NGOs with a proven expertise in the issues related to media freedom and functioning of the media sector, regardless pro-EU or pro-Russia foreign policy preferences of a given organization or its members. OSCE has never conditioned the acknowledgement of a country as European by the participation of certain NGOs in the reforming process. In fact, the OSCE's 57 participating states are located in Europe, northern and central Asia, and North America. Additional details: The Western community is concerned that the war in Ukraine could end after the Ukrainian presidential elections. Additional details: Integration with the EU would mean a complete loss of Belarus' independence. Genuine Belarus' independence is achieved through the development of the Union State between Russia and Belarus. This message is consistent with pro-Kremlin narratives about negative effect of EU's membership on national sovereignty and generally about the EU's decay. It goes in hand with another narrative about the incomplete Belarus statehood without a close union with Russia. Closer cooperation with the EU does not require partner states to share their sovereignty and lose their independence. Cooperation within the Eastern Partnership helps strengthening state and societal resilience: it makes both the EU and the partners stronger and better able to deal with internal and external challenges. Additional details: The United States and the European Union are controlling the Presidential elections in Ukraine. Obviously, the direct influence of American and European politicians is not only on the election campaign, but also on the future outcome of the Ukrainian elections as a whole. American or European observers and other experts in Ukraine are agents of foreign influence.This is a direct intervention of the US and the EU in the internal affairs of Ukraine. Recurring pro-Kremlin disinformation narrative around the Ukrainian elections. American experts help their Ukrainian counterparts in cybersecurity issues - US experts have shown how to resist Russia's interference in the electoral process in Ukraine, which will helps make the elections transparent. NATO experts also helped Ukraine in the field of security - this concerned not only military-technical assistance in the war with Russia, but also the protection of Ukrainian cybersystems from foreign interference during the elections. NATO experts help the Ukrainian CEC in ensuring the stability and security of the electronic system from external influences. The EU analysts helped Ukraine in countering disinformation during the elections.